People often ask me, “What’s your best rate?” In all honesty, the only answer I can give is, “That depends on you.” You see, lots of lenders advertise rates to draw you in, these may not ultimately reflect the actual rate you get. Your credit score, the amount of the mortgage, your down payment, even the type of house, can all affect the rate for which you qualify. 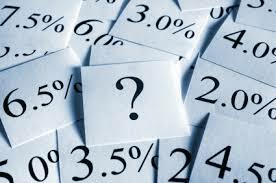 In addition, rates fluctuate on a weekly, and sometimes daily basis. Furthermore, lenders will run special promotions. In other words, things are never as straight forward as just the advertised rate. Having a Better Mortgage Partner means that I will get you the best possible rate for your situations. And since I work with 35 lenders chances are that, if you’ve seen a rate advertised, one of these lenders will match it, or even beat it! How much interest can you save on your mortgage? The Mortgage Payment Calculator helps you determine how much interest you save or how much of a mortgage payment you can afford. Its as simple as using a slide or a dropdown. Its side-by-side comparison scenarios allow you to contrast various options without having to write down or remember anything. You can also immediately view your results in chart or graph format. This will assist you with basic some information but, ultimately, you won’t have the full picture until we complete a full assessment. In Canada, all mortgages with less than a 20% down payment are required to be insured by either The CMHC or Genworth. These premiums, often called CMHC Fees are essential, and help protect all Canadian homeowners from the same type of mortgage crisis The U.S. experienced. The amount of your mortgage default insurance, is based on the property price of your home and the down payment. Find out in a side-by-side comparison scenario how much of a down payment is required, and how much you’d save by increasing this down payment.